Last summer, we basked in unprecedented levels of sunshine — and PV systems have never produced so much energy. The costs for solar technology are falling, investments and new installations are increasing, while new business models are encouraging substantial growth. If you’re not already using solar power, now is the time to reconsider. 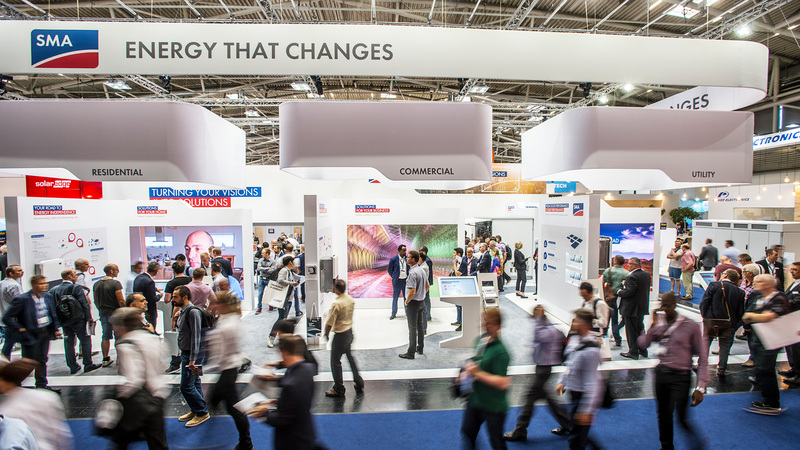 At Intersolar Europe 2019, SMA will be showing how easy it is to install and expand PV and storage solutions for a diverse array of applications. Below is a sneak preview of what’s coming up. With the Sunny Boy Storage 3.6/5.0/6.0 range, you can have backup power for your home when there is a blackout. In this blog, we will discuss how to use the Secure Power Supply function included in your Sunny Boy Storage and alternatively how you can have automated backup of your household with the optional Automatic Backup Unit. With the Sunny Boy Storage range of battery inverters, you can add battery storage to either a single phase or a three-phase PV system. Households in Australia are billed for their energy using net metering across all three phases of the grid. That means, the net energy purchased across all three-phases is what is billed, and it does not matter how energy is distributed across the phases. En el blog SUNNY de SMA encontrará información básica sobre SMA y el suministro de energía del futuro. El diseño de su planta fotovoltaica más fácil. Y ahora también en línea. Su portal de comunidad para plantas fotovoltaicas. Supervise y compare plantas fotovoltaicas. Comparta conocimientos. El portal informativo para todos los operadores de plantas de SMA le permite visualizar y supervisar los datos, acceder a documentos y recibir actualizaciones sobre el estado de la planta. El portal de acceso gratuito de SMA que ofrece imágenes relacionadas con el sector de la energía solar y la energía renovable. El portal de socios de SMA para proveedores y cualquiera interesado en convertirse en proveedor.